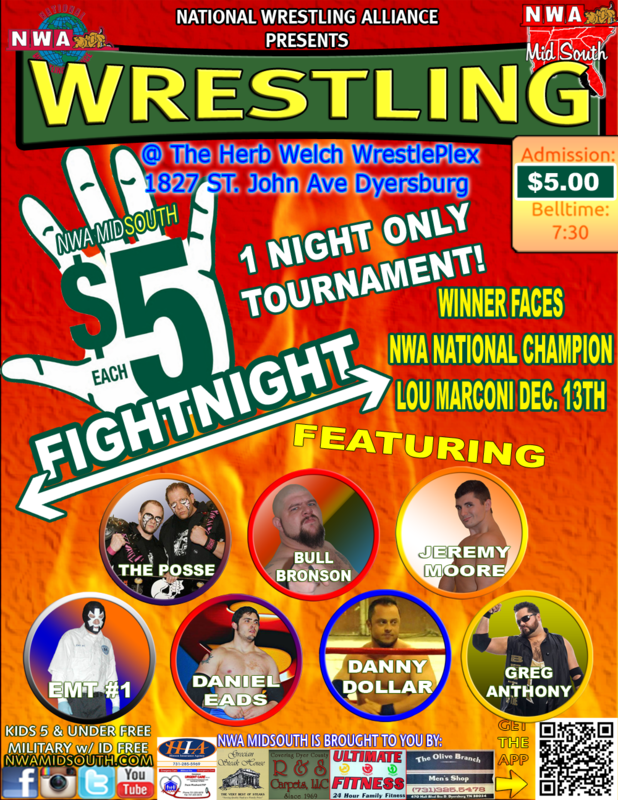 Home / NWA MIDSOUTH / FIVE DOLLAR FIGHT NIGHT! Don’t miss this once in a career event! This WILL change the life of one of these wrestlers!